The Sternbach family had deep roots in Drohobycz. 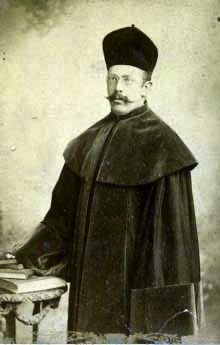 A Sternbach was one of the first four Jews to be given citizenship in Drohobycz, before Jews were given the right of citizenship. The earliest recorded member Wolf Sternbach was head of the kehilla before 1800. Mordecai Sternbach (ca 1790-ca 1858). might have been a son or a nephew. As a grain dealer, he would have been wealthy. He and his wife Chaje Tille (ca 1790-ca 1843) had a large family. Their sons and daughters married into other wealthy and influential families in the town, many of them in the petroleum industry. Their daughter Esther's daughter, also called Chaje Tille, married Moses Gartenberg, one of the oil magnates of Drohobycz. see The Family of Moses Gartenberg. For the family of their daughter Pessel who married Eliakim David Feuerstein, see The Family of Isaac Feuerstein. Their son Osias/Yehoshua, who owned an oil refinery in Borysław, was the the head of the kehilla in Drohobycz and around 1864 was one of the first four Jews to be made citizens of the town. He was succeeded by his son Mordecai. The family was also distinguished by several members who were renowned scientists and scholars. In this family group, to the right of Joseph Hersch is Deborah Kluger, the widow of Joseph's brother Mordecai (Marcus) and her son Karol and on his left, Piroska Cohen , the wife of his son Michael. In the back row, is the Joseph's caregiver, his daughter, Celina (Cesia) (1877-1945) and his son Michael (1870-1940). Joseph Sternbach, born in 1841, was a wine merchant on Drohobycz. Here he is in a portrait taken in Kraków, not long before his death in 1937. Joseph Hersch's eldest son was Samuel Leib, called Leon. He was a celebrated professor of classical philology at the Jagiellonian University in Kraków, specializing in Byzantine studies. A Jewish private school for boys in Drohobycz was named for him. When the Germans invaded Kraków, the younger professors from the Jagiellonian University entered military service. 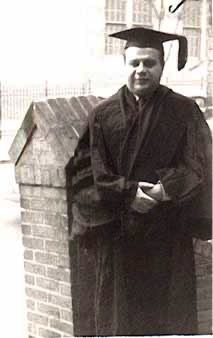 Leon who was retired, volunteered to teach, but in November 1939, just over two months after occupying Cracow, he was among 183 professors from the university who were sent to concentration camps where many died. Leon Sternbach was taken to Oranienburg concentration camp and later to Sachsenhausen where he died in 1940. Leon and his wife, Leontyna Epstein, with their daughter, Helena. Portrait of Helena Sternbach, daughter of Leon and Leontyna. Michael Sternbach, Joseph Hersch's second son, who was a pharmacist, settled in Abbazia, a resort town in Italy at that time now Opetija, Croatia – where he opened a pharmacy. There he met and married Piroska Cohen, a young lady who was spending her summer vacation at her Hungarian grandmother’s villa. After the turmoil of the First World War, Michael moved back to Drohobycz in 1927 to open another pharmacy. He died in 1940 of lung cancer. His wife Piri survived the war and died in New York in 1975. 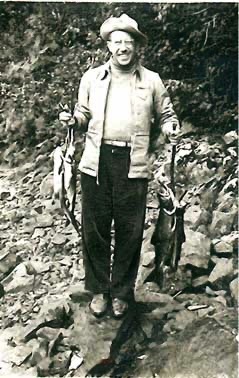 Michael and Piri had two sons, Leo Henryk (1908-2005) and Julius (1911-1926). Leo Sternbach (1908-2005) achieved fame as the inventor of the drug Valium. Before the Second World War he was working for the firm, Hoffman Laroche, in Switzerland. He managed to escape to the U.S.A. with the company's other Jewish scientists. 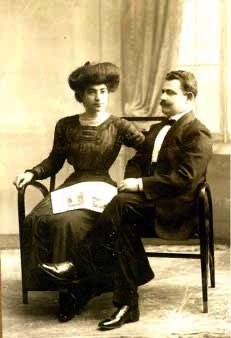 Joseph Hershch's third son, Edward (Eliakim) (1874-1943) married Klara Amster who was born in Romania. Edward and Klara had one son Ludwik. He was a graduate of the Sorbonne, an expert in Sanskrit, and a lawyer who worked for the United Nations. Edward Sternbach joined his son in India and died there in 1943. 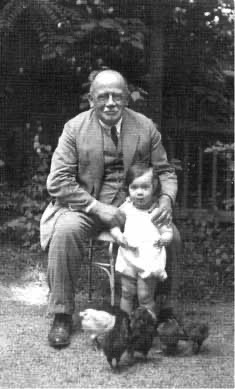 Karol Sternbach with his granddaughter Heidi. Joseph Hersch's brother Mordecai (b.ca 1850) and his wife, Deborah Kluger had ten children. Chaim David Karol was a medical officer in the Austrian and Polish armies. Karol married Karolina Bałaban. They had two sons, Kazimierz, a fine pianist who died in 1943 and Stanisław who survived the war. 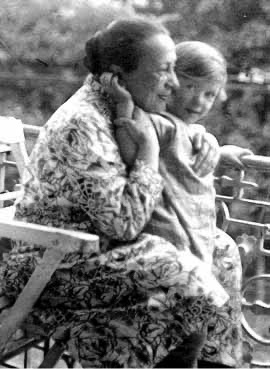 Here Karol is seen with Stanisław's daughter Heidi. Karol died in Kraków in 1930. The photographs of the Sternbach family were submitted by Marie Zielinska, Joseph Hersch Sternbach's great granddaughter and the granddaughter of Leon. 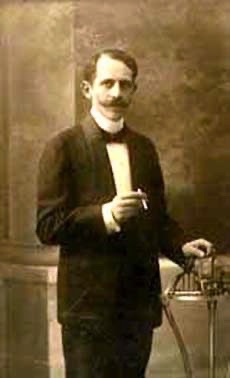 Hermann Sternbach (1880-1942) was the son of Mordecai Sternbach (1852-1912), a dealer in animals, and his wife Ettie Udel Bleiberg. and grandson of Berl and Beile Sternbach. After completing secondary school in Drohobycz, Hermann pursued studies in universities in Lemberg, Vienna, and Berlin. He taught school in Sambor until 1828, then at the University of Lwów until 1941. In his spare time, Sternbach wrote romantic, impressionais, lyric poetry in German, publishing Dunkle Stunden (1904), Ein Erntelied der Liebe und des Lebens (1906), Sommerfier (1918), and Adam der Mensch (1925). 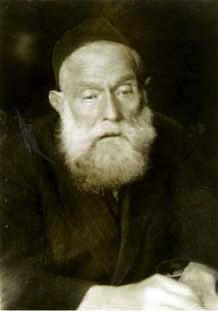 In 1917, he published a collection of short stories, Wenn die Schakale feiern about the Russian occupation of Galicia during the First World War, particularly about the persecution of the Jews by the Russians. The dramatic triptych Tag der Mutter portrays the abominations of war and the hypocrisy of those who unleash it. Sternbach also published critical essays on literature in several German and Polish literary journals. He also translated poems of Tibullus, Propertius, and Catullus from Latin to German. After the occupation of Lwów by the Germans, Hermann Sternbach and his wife Anna (Neche) Seif were confined to the ghetto and murdered in 1942. Ludwig Sternbach (1905-1942), the son of Hermann and Anna Sternbach, was born in Sambor, when his father worked there as a teacher. From 1923-1928, he studied mathematics and physics at the University of Lwów and later taught these sujects in secondary schools in Lwów. From 1929, he worked part-time as an editor for the newly established journal Studia Mathematica, which was the multi-lingual organ of the mathematical school of functional analysis at the University of Lwów. After the Germans occupied Lwów in 1941, Luwig Sternbach and his wife were taken to the extermination camp Bełżec.